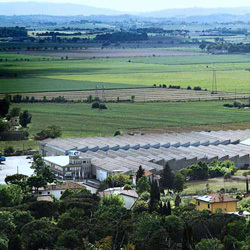 MENCI & C SPA was established in 1927 in Castiglion Fiorentino, near Arezzo, by Geremia Menci, a skilled artisan blacksmith who produced machines and equipment for agriculture, mainly plows. A specialization that seemed to mark the future of the company: as a matter of fact, it went on for years without particular changes. Not even the entry in the company of the three sons Adriano, Luciano and Francesco during the Sixties saw the Menci abandon its roots in agriculture. But it was this specialization that led, in the Seventies, to the first construction of a bulk feed tank. This event marked the debut of Menci in the world of industrial transportation and opened thus new production perspectives. We have to wait some years, until the early nineties, to see a real qualitative leap. This opportunity is offered, as it often happens, by a period of crisis. in this case in the agricultural sector. Which forced them to increase production for road use. The processing of feed tanks had developed a remarkable ability of workers in the welding of aluminum and this allowed the revolution of Menci production. Menci continued to grow, developing the technology of light alloys welding and innovative projects. 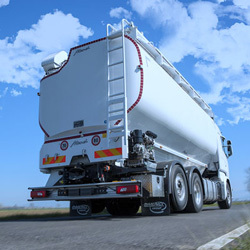 Later, starting in 2001, largely in response to the request of some customers who wanted steel semi-trailers for particularly heavy works, the production was expanded to include this material, but only for the semi-trailer. A field where Menci is European leader in the range from 22 to 92 m3 in all possible combinations. 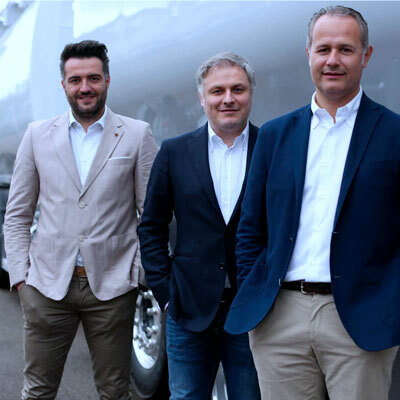 The exponential growth of Menci & C. SpA has taken place in the last 10 years and has brought the Company among the national leaders with its production of 1800 semi-trailers per year. Since 2004 Menci began exporting its products all over the world, covering first the European market, and then reaching in the last years the South-American market. The ability of working aluminum has marked Menci development and has characterized the evolution in its supply. From tanks to tipping semi-trailers for quarry and construction sites, the use of light alloy is the hallmark of the Tuscan manufacturer. 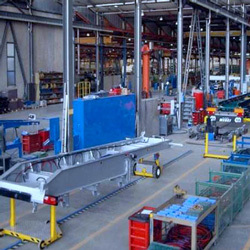 Even the production area has seen a continuous development up to the extension of 80,000 square meters of the present surface, 26,000 of which are entirely covered. Currently 130 employees work beside the management.